Little Desert National Park in Victoria, was my last intended activation for Tuesday 10th September, but unfortunately I ran out of time, as I had spent longer on Mount Langi Ghiran than expected. Ed VK2JI had told me that Andrew VK2ONZ was going to be up on air on a summit shortly. Sure enough I checked SOTA Goat and saw that they had posted an alert. So I patiently waited for an hour but sadly they did not appear. So off the summit I headed, a little later than planned. So after activating Mount Arapiles, I drove back along the Western Highway into Horsham, and after picking up some Subway for lunch, I continued back along the Highway to Dimboola. From there I headed out along Horeshoe Bend Road, south of Dimboola. The Little Desert NP which covers an area of about 32,000 hectares, is renowned for its unmodified ‘desert’ landscapes and its conservation values. 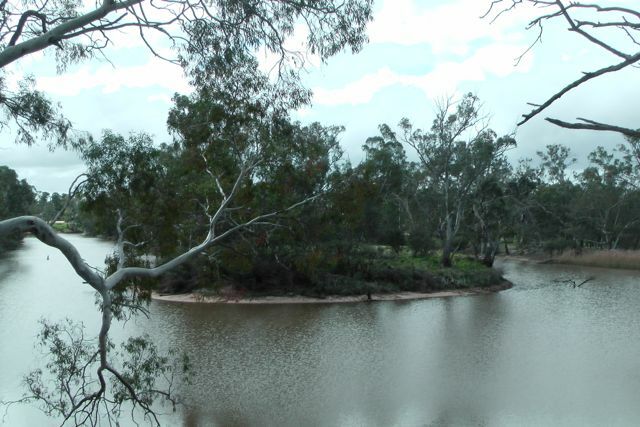 Features of special note in the park include the presence of endangered Mallefowl, the Wimmera River, and colourful wildflower displays during spring. The park’s beginnings started in 1955 when 217 hectares were reserved as the Kiata Lowan Sanctuary, primarily for the protection of Malleefowl. In 1968, plans were announced to develop the area for agriculture. There was enormous public outcry over this, and as a result the area was increased to 945 hectares. By 1969 the Park was expanded to 35,300 hectares with the addition of the majority of the block between the Wimmera River and the Nhill Harrow Road. In 1991, further land was added to the park. There are numerous native animals to be found in the park including Western Grey Kangaroos, Western Pygmy-possum, Swamp wallaby, & Silky mouse. There have also been some sightings of the platypus in the Wimmera River. A total of 229 native bird species have been recorded in the park. Of these, five are endangered, three vulnerable, and nine rare. 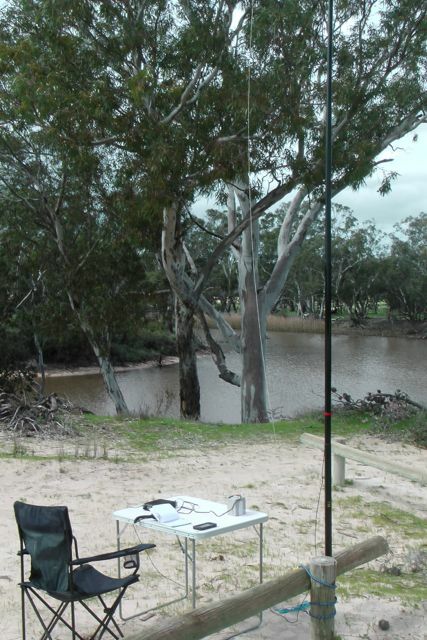 I entered into the Little Desert National Park and set up at Horeshoe Bend near the banks of the Wimmera River. This was a really idealic setting. The weather was beautiful and the view from my fold up table & deck chair was fantastic. I had noted when I arrived that there was a school bus parked nearby, and sure enough, after about 10 minutes on air, the silence was broken by a group of high school kids walking along the banks of the Wimmera, returning to the bus. I certainly got a few strange looks from the children and their teacher as they walked by. I operated for about 30 minutes and then decided that it was time to head off over the border into South Australia. I still had a 2 hour drive ahead of me before reaching my final activation, the Ngarkat Conservation Park. But I was happy. 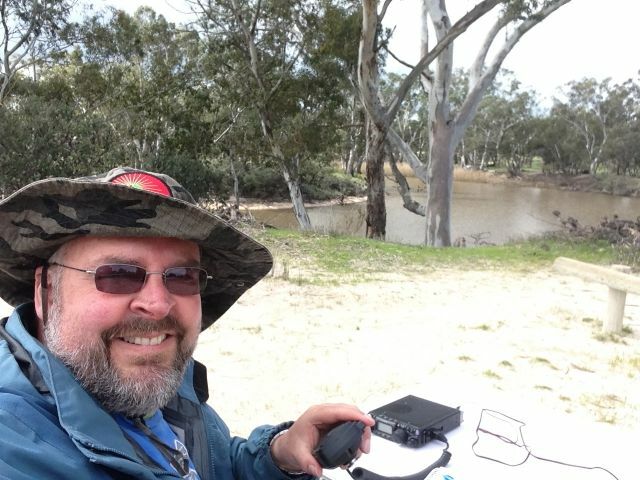 The park was activated, and 11 stations were in the log on 40m SSB from VK3, VK5 & VK7. Tony VK5ZAI; Ron VK3AFW; John VK5BJE; Dale VK5FSCK; Albert VK3KLB; Ivan VK5HS; Col VK5HCF/qrp; Brian VK5FMID; Larry VK5LY/m; Greg VK3UT; and Eric VK7EK. This entry was posted in Keith Roget Memorial National Parks Award. Bookmark the permalink.